Blueberry crepe recipes is the last feature of our blueberry week. As the saying goes, though, last does not mean least! It is actually my favorite way to eat blueberries. Just top my crepes with this delicious fruit, some Greek Yogurt and you have an amazing breakfast recipe or even dessert. To add some sweetness, top with some maple syrup. Your sweet tooth will thank you. Let’s get started and see which Blueberry crepe recipes are my favorite. Crepes, Blueberry and Yogurt is one of my favorite ways to savor this fruit. This makes such a great healthy breakfast for kids! We love making it on weekends as a special breakfast treat. Crepes filled with Cottage Cheese and Blueberry: It is a great breakfast recipe. Cottage cheese is low in fat and quite filling. It’s surprising how easy it is to make the blueberry sauce for the topping! Lemon Blueberry Crepes: This recipe used non dairy milk (soy milk) and I find it is a great use of Lemon Curd. I would not eat this recipe at breakfast but it will be a great dessert idea. It has a nice presentation and is original. 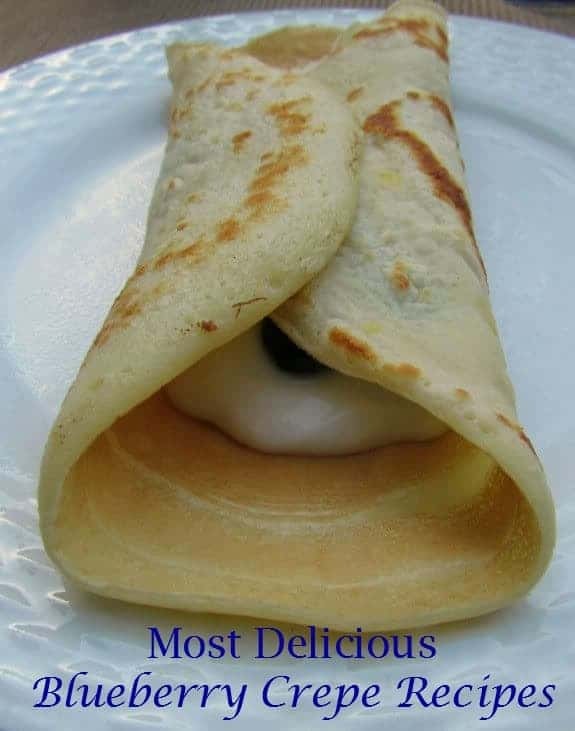 Blueberry crepes stuffed with Lemon cream cheese: I like the combination of lemon and cream cheese. I would use low fat cream cheese to save some calories. I would love to try this with some orange zest! Blueberry Crepe Cake: And last but not least, I love this Blueberry crepe cake recipe. Isn’t it amazing? It’s an entire cake made with crepes! Pure genius! This would make an amazing dessert at a party, don’t you think? Don’t miss our other great Blueberry Recipes from this week! What is your favorite blueberry crepe recipe? Share it with us in the comment section and don’t forget to check our Pinterest board for more inspirational blueberry recipes. Follow OurFamilyWorld Magazine’s board Blueberry Recipes on Pinterest. Will Added Security Cameras Really Help With Bullying Prevention? Vacation at Home: Get-Away Right at Home! mmmm….i love crepes and I love blueberries. Looks delicious. I think I will try this , this weekend. Looks great. now why didn’t I think of that? I usually eat my pancakes with lemon juice and a bit of sugar or maple syrup & whipped cream if I really want to indulge 🙂 With blueberries would be delicious too, thanks for sharing. That looks really good :). Breakfast being the most important meal of the day and sometimes the most standard, nice to find a refreshing recipe for a new trend. Since blueberries are the freshest in July/August – was great to stumble on this recipe. Most recipes I have seen the dough seems to be dry/cracked – these look thick and moist – love to try this. Off to print and sample tomorrow, ironically I picked up blueberries and cherries this afternoon, New Year’s resolution still going strong in August…. 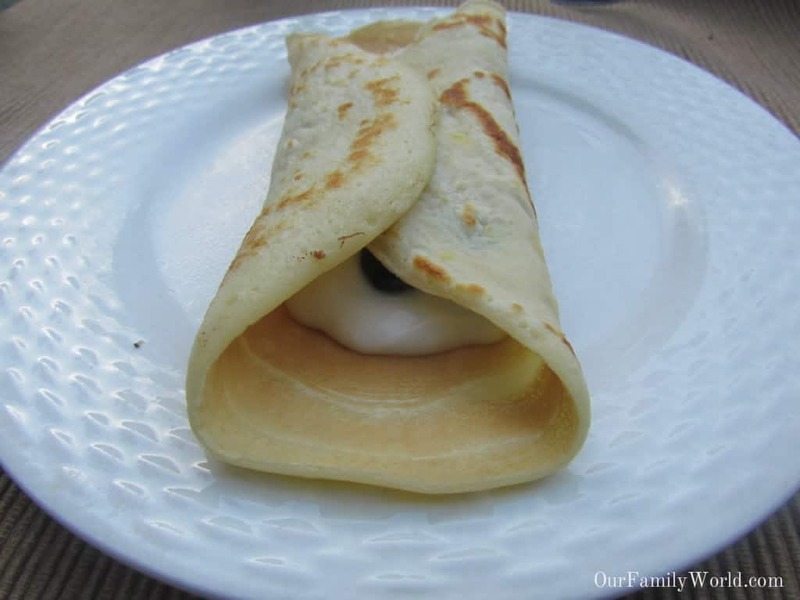 Crepes stuffed with blueberries and lemon cream? Sigh! So yummy! I’m going to go and buy some blueberries! lol The crepe cake looks amazing! This recipe round-up has me salivating! Do you have favourite? Spring Cleaning is fun for the entire family!